Earlier in the trial, another man, Jack Renshaw, 23, of Skelmersdale, Lancashire, admitted preparing an act of terrorism after buying a machete. Mr Justice Jay said group meetings after the ban were attempting to keep alive an aspiration that was “truly insidious and evil: the idea that this country should be purged of its ethnic minorities and its Jews; that the rule of law should be subverted; and that once the ideological revolution had taken place this national socialist world view would triumph”. 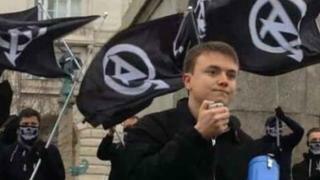 Det Supt Will Chatterton, head of investigations for counter-terrorism policing for the North West, said: “Today’s result has enabled the spotlight to be shone on the sickening activities of the banned extreme right-wing organisation National Action [and] is a body blow to extreme right-wing organisations. 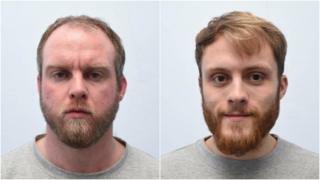 Deputy director of Hope Not Hate, Jemma Levene, welcomed the sentences, adding: “This case should remind everyone of the ongoing threat posed by the British far right.